Others of us want to “do something” but we become paralyzed because we don’t know what to do. I confess that before I lost my parents, that was me a lot of the time. But what I came to realize is that any gesture, no matter how small, ministered to my heart in such a profound way. A kind word, a card, text, phone call or just showing up gave me comfort. 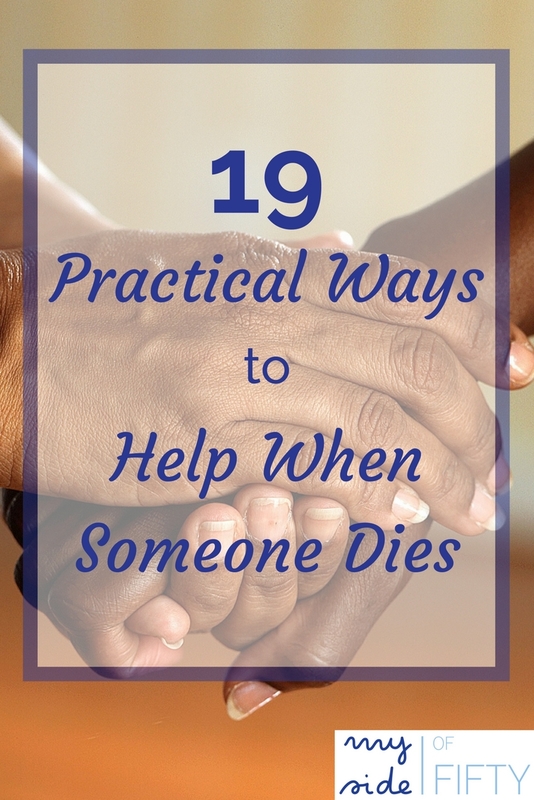 So here are 19 Practical Ways To Help When Someone Dies. Do you enjoy funerals? I know – weird question. My friend, Jodie, from Jodie’s Touch of Style, does! Read her post here about why she likes funerals. I’ll give you a hint. She’s a kind and engaged person. And on Thursday, I’ll team up with Jodie again for a fashion post! 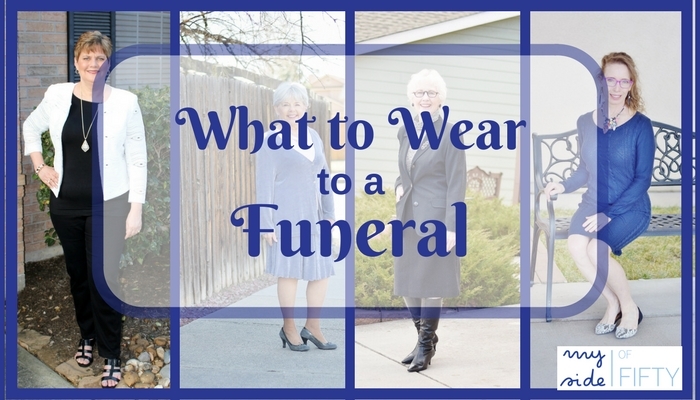 We’ll be highlighting what to wear to a funeral. Not that you don’t know, but we’ll show you some outfits that we put together. And Jodie (in her 50’s), her stepmom (in her 60’s) and her mom (in her 70’s) show that you don’t ALWAYS have to wear black to be appropriate! You’ve really thought this out so well, Cathy! I know the feeling of wanting to help, but not sure what to do can be worrisome! I know I’ve been guilty of saying, “call me if you need me” because I don’t know what else to do or say. Once you’ve been through it, it is easier to know. But this is such a great reminder! Thanks for working with me on this project! Enjoyed it, Jodie! I’d do another one with you in a minute! Wow, this is perfectly written. I have always been the worker bee at weddings, funerals and other family events because, well I love to organize things. LOL. This is a very valuable post that all of us can benefit from! People like you are exactly what is needed when there is a death in the family! Sounds like you always find the perfect way to help, Rebecca! I recently lost my father, and I find this advice helpful and useful. I was exhausted for weeks after the funeral and realized I had been going non-stop for days on end. I loved it when someone showed up with just the right thing, whether it was cookies shaped like hearts or a bottle vodka and some Bloody Mary Mix and some garnishes. Hi, Cathy. Death is something our culture doesn’t embrace or talk about much. Having a list like this is truly helpful especially as it comes from someone who knows what it’s like to lose someone close to them. The point about anticipating instead of asking because the grief-stricken won’t ask is so on point. During this time people are emotional and oftentimes on autopilot so every decision drains them. Will check out caring meals. Thank you, Sara. That Caring Meals site is great for any occasion when you need to have people provide meals. My best friends, twins, just lost their dad. He took his own life. They live far away from me, and from each other. We’ve had group texts, emails and I call each every few days. That’s really all I can do. He was cremated and they’ll have a family-only memorial service. But the grieving continues and all I can do is be there for them. Your suggestions are wonderful and very helpful. Thank you for writing this very important post. Such a sad, sad situation. And you are doing what you can. And I know that is so meaningful to them. I’m glad you found the suggestions in the post helpful, Cathy. I am one of those that “knowing what to” do doesn’t come naturally. I have a large, food-centric family, so there is usually plenty of food to go around, but all of these other ideas are things that I never thought of before. Same here, Jennifer. But I’ve learned that any gesture is appreciated. Glad you found some useful suggestions in the post. A very thoughtful, helpful list. I lost both of my parents and a sister several years, ago, and every bit of help we received was most appreciated. I especially like transportation. Particularly if the death was a surprise, the bereaved may be in no shape to drive for a few days… and even if that’s not an issue, they’re already running ragged. Having someone else pick up relatives or kids is a great help! This is really helpful Cathy. During these times the people who have lost the loved one feel like they are living in a haze. Some good practical tips here. Thanks for sharing with us at #OvertheMoon. I’ve pinned and shared. SO helpful! I never quite know what to do and even what to say. I am so sorry you lost both your parents in the same year that must have been so hard. Pinned. Thank you, Joanne. Glad you found the post helpful. Thank you for pinning. All good tips Cathy even if there is not a funeral! A friend’s mother died and her wish was no funeral. My friend still grieved and she complained to me that she did not get even one casserole including from me. Won’t let that happen again! I sent a card, and called but just because there wasn’t a funeral I didn’t make some food? Bad on me! I look forward to what to wear to a funeral. I have been to 2 where guest s were asked to wear Hawaiian style clothes and another to wear white! Haralee – it is so hard to know what to do! I think that no matter what, just make an effort, which is what you did. I don’t know if I would have thought to bring food either. 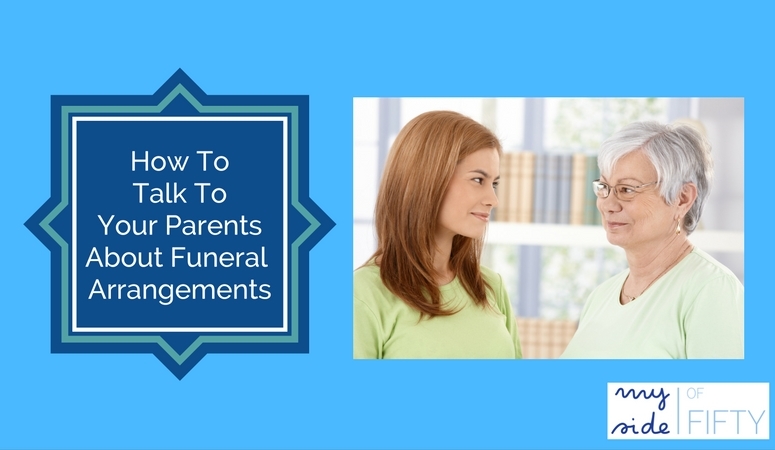 Sounds like the funerals you recently attended were planned with the deceased in mind – what they would have enjoyed. This is an excellent list. I always feel so helpless trying to be supportive. Thank you for sharing. Raya – so glad the post gave you some ideas. I think a lot of us feel the way you do. This is such a great list. Far too often, people vaguely say “If there’s anything you need, let me know.” Your way is better! Valerie – before I experienced loss, I was one of those people! Hopefully we can all be a little better prepared to respond in a way that is truly helpful. Thanks for reading. SO helpful. Particularly the “don’t ask” piece, because you’re right, it’s too much work for a person who’s grieving. I won’t forget this, and when I’m in the situation again I’ll have a specific contribution already worked out. Great, Susan! I think it’s a wonderful idea to already have one or two things that you can do in mind. This is amazing. Thank you so much. We just lost our 4 month old granddaughter last month. I wish I had this article then because a lot of people could have stood to read it. Michelle, I am so sad for you. What a devastating loss. I hope you and your family have had many people surround you with love and care. I am so sorry. I would also add, don’t just do “something” right afterward, the months and sometimes years of grieving are hard, be there for your friend and just let them talk…. Renee – you are so right. The need to be there extends long after the funeral. 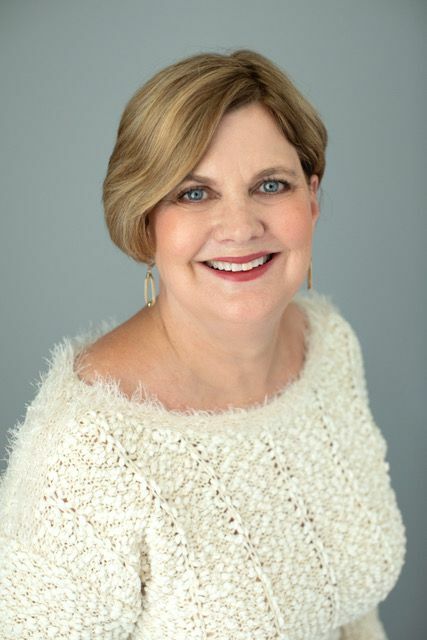 As more of us face losses of family and friends as we age, this is such a timely post, Cathy. Thanks for the really practical suggestions. Roxanne – you are right. It’s the stage of life that we are in. Glad you found the suggestions practical. Thanks for reading and commenting. What a wonderful thing that your grandfather’s employees did for you and your siblings. And what a thoughtful thing you did for your cousin’s son. It just takes a little thought and putting yourself if another’s position and you can usually find a meaningful way to reach out. I am sure that gift bag will always be remembered with fondness & love that was received at a devastating time. Thank you so much for including my grief products …. and for the helpful post. SUCH a great article – very well thought out and comprehensive. Great to see Jodie over here too – we had a great time when we collaborated on a week’s worth of posts a while back. I’m sure your upcoming colab. will be great! Looking forward to it. Cathy, I think we must be on the same wave length! That’s 3 blogpost of yours that I have clicked on in Bloggers’ Pit Stop tonight. Another excellent post. I have a hard time with funerals. I worry about intruding and being a bother versus how to be truly helpful. Your post gave me some concrete ideas to implement. Linda – we must be! I have always been the same way about funerals. And even though I wrote this post, we had a friend die last fall and I had to go back and read my own post to come up with something to do! Glad I wrote it. Such a practical and helpful post, Cathy. We will feature this on the next Blogger’s Pit Stop. Your very thoughtful ideas will be very useful, as you say we are all touched by losing loved ones sooner or later. Kathleen – thanks so much for the feature. I am glad you found the post so helpful. Evelyn, so glad you found it helpful. It is so hard to know what to do. I’ll share it at the party on Wednesday. 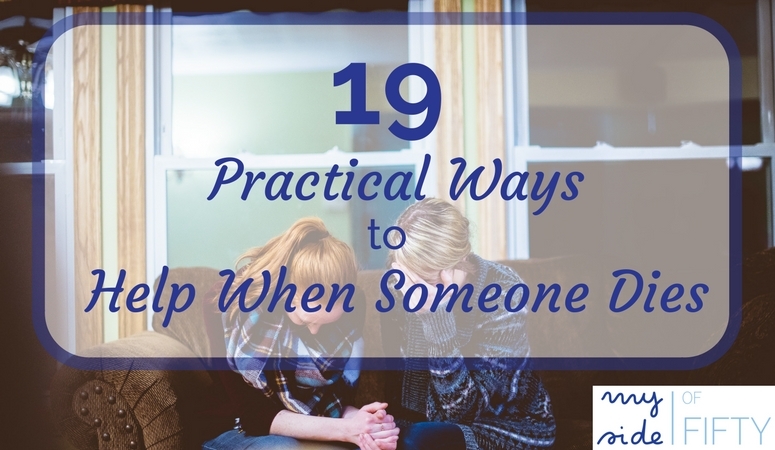 Having said goodbye to more people than anyone should have to I can certainly say that this is a great list of ways to help people who are grieving. Thanks, Elise. I am sorry that you have suffered so much loss. Juanita – that is wonderful. You just have no idea what will be needed until you’ve been there. Glad your church family was there for you. Thank you for this post. I recently lost my 21 year old son, he had a problem with his brain since birth that we didn’t know about. If I might add one thing, if you make promises to the person that has lost someone please keep the promise or let them know you can’t. People mean well and in the shock of losing someone they make promises only to not follow through. It makes me feel like they have already forgotten my son and it has only been less than 3 months. Joy – that is something I had not thought of and that is so important. I’m so sorry you lost your son. Thanks so much for bringing this important reminder to the My Side of 50 readers.